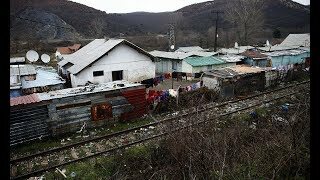 (New York, September 7, 2017) – The United Nations' failure to compensate victims of widespread lead poisoning at UN-run camps in Kosovo has left affected families struggling to care for sick relatives who were exposed to the contamination, Human Rights Watch said today. About 8,000 people from the Roma, Ashkali, and Egyptian minorities were forced from their homes in Mitrovica town after the 1998-1999 Kosovo war. For more than a decade, the UN – Kosovo's then-de facto government – resettled about 600 of them in camps contaminated by lead from a nearby industrial mine. In 2016, a UN human rights advisory panel found that the United Nations Interim Administration Mission in Kosovo (UNMIK) had violated the affected people's rights to life and health. It said that UNMIK "was made aware of the health risks [camp residents] had been exposed to since November 2000," yet failed to relocate them to a safe environment until more than 10 years later and recommended it apologize and pay individual compensation.